Discussion in 'E90/E91/E92/E93 (2006-2011)' started by ioriocm, Jul 23, 2017. "Disconnect tank ventilation valve (purge valve) electrical connector and allow the engine to idle for 15 minutes. This procedure will allow the DME to readapt." Where is the ventilation valve electrical connector? It would seem that in order to access the valve you'd have to remove parts that the car needs to run... very confused and do not want to go to the dealer for something that I should be able to do myself. realoem.com is often helpful for component/part locations - for this, not so much. This is for an M54, but it shows a couple helpful things - a way to remove push clips, and how to remove the electrical connectors (pushing & holding down on the wire spring clip disengages it and then you can pull the connector free). On the thought of relative similarity & that BMW is not necessarily so prone to entirely re-invent the wheel every time, my guess is you need to pull the airbox, & the purge valve is likely similarly located as shown in the above vid for an M54. Knowing what the part looks like, use a flashlight and take a look, maybe you can get a glance at it. 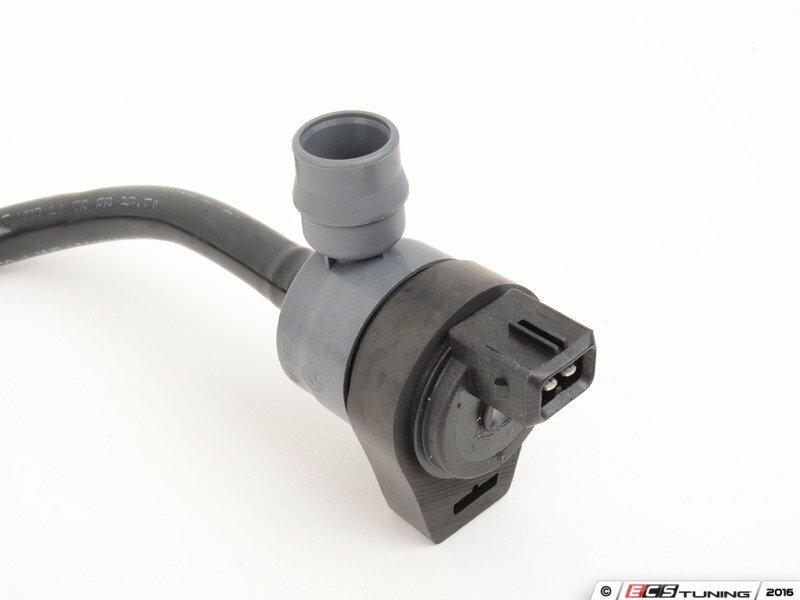 I would think pulling the airbox is relatively simple & straightforward, but if you can get an eyeball on the valve or connector, you'll know for sure what area you have to get at. If you have an inspection mirror, getting that down under things can help get a look or direct light at parts you can't see directly. Our resident tech, Charlson, can comment more definitively when he gets back. Another option would be relaying your question to the club's other TSA's. Sorry to not be more definitive, I don't have an N55 & it's nothing I've had to mess with yet on my N54! I think I recognize one of those tube connectors... I'll try taking off the cowl and airbox this weekend and see what I can find. Are any of the TSA's E90 specialists? I don't know - Charlson works as a tech @ a dealer, so he's certainly up on the recent BMW's. I'm pretty sure a couple of the TSA's are particularly experts on the older cars - as a start, I'd say call Oscar Velez or try the email contacts listed. Just to follow up for anyone else who may ever run into this... I took the airbox out for som exploratory probing and the valve and connector was right there. Once you know where it is you don't even have to remove any parts as you will be able to access it just by reaching past the charge pipe. I unplugged the connector, idled the car for 15 mins, drove around for 15 mins. Turned car off. Turned power on. Cleared codes. Power off. Waited 10 secs, turned ignition and drove around for another 15. Code has not returned since so I'm assuming this worked. Thanks for the update, glad you figured it out!